Carries a genomic deletion of a region of mouse chromosome 16 that corresponds to human chromosome region 22q11.2. In humans, hemizygous deletion of chromosome 22q11.2 confers high risk of neurodevelopmental disorders, including autism and schizophrenia, with up to 41% of deletion carriers experiencing psychotic symptoms. Df(h22q11)/+] mice have reduced prepulse inhibition (PPI) and increased acoustic startle response (ASR). Increased NMDAR antagonist-induced locomotion: show increased activity in response to PCP- and ketamine-induced locomotor activity in postpubertal mice. Increased 3,4-Dihydroxyphenylacetic acid (DOPAC) levels in the pre-frontal cortex. Displays phenotype characteristic of narrow palpebral fissures (small eyes). Useful as a model of schizophrenia-like pathology and for studying the underlying biology of schizophrenia and other psychiatric disorders related to 22q11.2 deletion in humans. The Df(h22q11)/+ mouse line was developed for H. Lundbeck A/S, by Taconic Biosciences GmbH (Cologne, Germany), by deletion of the human h22q11.2 orthologous genomic region on mouse chromosome 16. Two targeting vectors were generated using bacterial artificial chromosome clones from the C57BL/6J RPCI-23 library and transfected into TaconicArtemis C57BL/6N Tac embryonic stem cell line. The first vector introduced a loxP site upstream of the Dgcr2 gene. The second vector introduced a loxP site downstream of the Hira gene. Homologous recombinant clones were isolated and the 1.13 megabase region on mouse chromosome 16 between the loxP sites was removed using in vitro Cre-mediated recombination. Hemizygotic embryonic stem cells were injected into blastocysts isolated from impregnated BALB/c female mice and transferred to pseudopregnant NMRI female mice. Chimeric male pups were selected by coat color and mated with wild-type C57BL/6 female mice. Finally, a chimera with germline transmission was selected for expansion breeding. 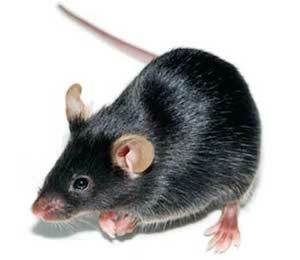 The colony is maintained by mating wild-type C57BL/6N mice with hemizygous Df(h22q11)/+ mice. Didriksen M, Fejgin K, Nilsson SR, Birknow MR, Grayton HM, Larsen PH, Lauridsen JB, Nielsen V, Celada P, Santana N, Kallunki P, Christensen KV, Werge TM, Stensbøl TB, Egebjerg J, Gastambide F, Artigas F, Bastlund JF, Nielsen J. (2016) Persistent gating deficit and increased sensitivity to NMDA receptor antagonism after puberty in a new mouse model of the human 22q11.2 microdeletion syndrome: a study in male mice. J Psychiatry Neurosci. 2016 Jul 7;41(5):150381. Persistent gating deficit and increased sensitivity to NMDA receptor antagonism after puberty in a new mouse model of the human 22q11.2 microdeletion syndrome: a study in male mice. Assessing the Cognitive Translational Potential of a Mouse Model of the 22q11.2 Microdeletion Syndrome.